Camp Baboon, Wild Place Project, Bristol, BS10 7TP. The terms below apply to your booking if you are a customer and book from 1st June 2017. When you make a Booking on our website, you will be asked to click “I accept” and you will not be able to complete your Booking if you do not do this. This confirms that you accept these terms. We recommend that you read the terms before accepting. If you are a customer (i.e. not dealing as a business with us), Bristol Clifton & West of England Zoological Society Ltd (we/us) sells all Camp Baboon cabins and extras (see Section 2.6) to you subject to these terms. A contract is formed between you and Bristol Clifton & West of England Zoological Society Ltd when we issue you with a confirmation number for your cabin and extras (if applicable) (Booking). No booking shall be binding on Bristol Clifton & West of England Zoological Society Ltd until we issue you with a confirmation number. You cannot transfer or resell your booking (in whole or in part). If you transfer or resell (or attempt to transfer or resell) then Bristol Clifton & West of England Zoological Society Ltd will terminate your booking and retain any money paid to us for such booking. We may also refuse to take any further booking from you in the future. In making a Bristol Clifton & West of England Zoological Society Ltd Limited cabin booking you agree to not use the Bristol Clifton & West of England Zoological Society Ltd pods or its facilities to conduct any commercial activity or activity that seeks to gain profit without prior written consent from Bristol Clifton & West of England Zoological Society Ltd. Bristol Clifton & West of England Zoological Society Ltd reserves the right to terminate your booking and retain any money paid to us for such booking if we believe that you are in full or part breach of this provision. You may make a booking on someone else’s behalf. You are responsible for ensuring that any customer in your booking complies with these terms as if that customer had made the booking. You can only make a booking if you are 18 years old or over. If you arrive at the cabin and are under 18 years of age you will not be permitted to stay alone. We may require photo id as proof of age. You must ensure that the name on a booking is correct at the time of booking. Subject to section 7, this cannot be changed after making the booking. We offer certain extras when you make your booking and during your stay. The cabin rate excludes any extras other than those included in the experience unless we expressly agree with you otherwise as part of your booking. Extras are subject to availability and cannot be transferred to any other booking. If any extra that you have paid for in advance is unavailable upon arrival we will give you a refund of the price you paid for that extra or offer you a suitable alternative. Extras are provided subject to these terms. The rate for each cabin, includes VAT and is as published on our and third party/partner websites at the time of your Booking, or, in the case of a telephone booking is, as advised, to you at the time of booking. Card details will be held for 30 days and the transaction may take up to 3 days from the date of booking. You can check-in from 3pm on the scheduled date of arrival. If you wish to check-in earlier, you can do so by prior arrangement. To do this, contact us directly at the cabin for availability. These services are subject to availability. You must check-out before 10am on the scheduled date of departure. If you wish to check-out later then you can enquire on the day of check-in. These services are subject to availability. If you fail to check-out by the stipulated time, we will make an additional charge equivalent to the flexible rate at that time, for one night’s stay for the applicable cabin. Maximum occupancy for each cabin is 4 persons including a maximum of 3 children. Each pod must have a minimum of one over 18 person. Please note pods have one double bed, and two single bunk beds. No facilities are provided for babies and guidelines for upper bunk bed use is minimum of 6 years old. A single cabin is available on request with two double beds and subject to availability. Unfortunately, camp baboon is not wheelchair accessible. We do not permit people under the age of 18 to stay alone in our cabins. You must not leave under 18s unattended in any pods or public areas at any times. Alcohol may be purchased from the courtyard café during licenced opening hours. Smoking is not permitted in the cabins at camp baboon. You must not smoke in any of the cabins, a designated smoking area is provided. The costs we incur include our costs for specialist cleaning, repair or replacement of damage by you to our property, the cost of the room for any period it is unusable and our administration expenses. We may also instruct a third party to recover these costs on our behalf. If you request it, we will send a breakdown of these costs to the address used for the booking. You must take all reasonable precautions to avoid damage or interference with any items belonging to us. Customers are requested to bring any damage to our cabins or property to our immediate attention. Malicious, wilful, or negligent damage or interference to the lodge or property will be regarded as a breach of these bookings terms and conditions and we will terminate your booking. We will contact you after your stay to recover the costs for any repair, replacement or specialist cleaning we incur if you damage our cabins or property. We may also instruct a third party to recover these costs on our behalf. If you request it, we will send a breakdown of these costs to the address used for the booking. Cooking equipment not owned or operated Wild Place Project, including but not limited to, microwave, BBQ’s and kettles must not be operated by customers in the hotel. All room keys must be returned to Wild Place project guest information on check-out. If you fail to do so, we may charge you for a replacement key or lock as required. In the event that a key is not returned after check-out we request customers to contact Wild Place Project to make arrangement for keys to be returned. Pets are not permitted in camp baboon or Wild Place Project.  If you do not comply with paragraphs 3 to 9 when staying at Camp Baboon, we may terminate your booking without refund and require you to leave the cabin immediately. Guests staying at camp baboon are not permitted to enter Wild Place project grounds after the evening tour until 8.00am the next morning. Failing to abide by these rules will be regarded as a breach of these bookings terms and conditions and we will you to leave. A 24 hour contact number and two way radio will be provided for emergencies such as fire or injury and illness, etc. In case of fire you should clear the immediate area, call 999 and then call the emergency contact number. Bristol Clifton & West of England Zoological Society Ltd does not operate a relocation policy. – at your request, cancel your Booking and refund you any money you have paid in advance for the unavailable cabin(s) including related extras. Statutory Rights: We have tried to ensure that any rights that you as a consumer have that are implied by law into a contract of this type (statutory rights) are not excluded or limited in anyway. If any of these terms conflict with a statutory right or the law changes and your statutory rights change, then the statutory rights will prevail over these terms. Events Beyond our Reasonable Control: We shall not be in breach of these terms, nor liable for any failure to perform any of our obligations in relation to your Booking (such as the provision of room(s) and/or other products and/or services and/or extras) due to any adverse event, act, omission or accident which happens which is beyond our reasonable control including, but not limited to, flood, animal escape, earthquake, extreme adverse weather conditions, natural disasters, other acts of God, acts of terrorism, interruption or fire (except by way of our default) or failure of (except by way of our default) electric power, gas, water, or other utility service, plant machinery, computers, vehicles or any collapse of building structures. Our Liability: Subject to the remainder of this clause, you should use your own insurance policies to claim the full amount of the loss or damage to your property prior to approaching or pursuing Bristol Clifton & West of England Zoological Society Ltd. We are, in certain circumstances set out in the Hotel Proprietors’ Act 1956 (Act), liable for loss or damage to your property. However, in those circumstances, we are only liable up to the maximum sums under the Act. In all other circumstances, our total liability shall not exceed twice the daily rate charged for your Booking. Bristol Clifton & West of England Zoological Society Ltd aims to provide a safe and secure environment for the duration of your stay and where necessary, will take appropriate security measures. If an incident occurs during your stay, resulting in the theft, loss or damage of your property, we will carry out an internal investigation. If we do not feel that your property was stolen, lost or damaged through any fault of ours, our staff or agents, this will be evidence that it wasn’t our fault. In those circumstances, our liability is limited to the maximums under the Act. If an incident is referred to the Police authorities, and they draw the same conclusion as us, this will also be evidence that our liability is limited to those maximums. We shall not be liable, in any circumstances, for any loss or damage to vehicles you bring to the hotel or any property left in them. Neither shall we be liable for any loss of profit, or any indirect or consequential loss arising under or in connection with your Booking. Where we are liable, we will only be responsible for losses that are a foreseeable result of a breach or negligence, but not otherwise. The loss or damage will be foreseeable if it is an obvious consequence of the breach or is contemplated by both parties at the time of entering into the contract. Nothing in these terms shall limit or exclude our liability for death or personal injury caused by our negligence or the negligence of our employees, agents or subcontractors; or fraud or fraudulent misrepresentation; or any other form of limitation or exclusion prohibited by law or statute. Third Party Rights: A party which is not a party to our Contract shall have no right to enforce any term under the Contracts (Rights of Third Parties) Act 1999. Law: These terms are governed by the laws of England and Wales. Changes to Terms: We reserve the right to change these terms from time to time. The terms applicable to your Booking are those in force on the date of Booking (or amendment, as applicable). Car parking is available at Wild Place project for up to 2 cars per cabin. Parking will be in the main car park, this is an unsecured parking area. Parking is free of charge. If you have any question or complaints in relation to your Booking or these terms please email campbaboon@wildplace.org.uk and we will respond as soon as possible, normally within 2 working days. An introduction will be given to the safe approach of different animal species at Wild Place Project. All animals should be approached in a calm and quiet manner. It is important to neither surprise nor corner an animal as they may act defensively and cause injury to you, the host and themselves. When in close contact with any animal you are at risk from being hurt by them. The potential for injury will vary according to the size and species of animal and the reason for the attack. Behavioural changes will occur according to reproductive cycles, illness, injury or stress and sometimes for no apparent reason. Animals are unpredictable and you should never be complacent with regard to safety precautions when near animals. The host will supervise the approach of animals under their responsibility and at all times practice safe techniques. Feeding the animals will require close contact with some species and all necessary safety precautions must be adhered to according to the feeding protocols. These include protection when necessary and provision of a safe working distance from the animals where appropriate. The feeding of any animals will be strictly supervised by the host responsible. You will accompany the relevant host and patrol the section observing the animals. At no time will you be allowed to enter an area or enclosure without the supervision the host. Due to the hands-on nature of the experiences participants must be physically fit and suffering no severe health problems. Regrettably certain guests will be unable to take part including people with relevant phobias or known allergies; pregnant women; and immunocompromised individuals. Whilst every effort is made to accommodate those with a disability or learning difficulty, due to practicality and health and safety this cannot always be achieved, unfortunately we cannot accommodate wheelchair users. The timetable for experiences has been devised in order to allow as much time as possible with the host whilst not detracting from the running of the park. As such, it is not possible to request activities outside those described. If circumstances dictate, such as bad weather or a particular animal being unwell, it may be necessary to change the chosen activities without notice. In such cases, we will always try our best to offer a suitable alternative. In case of emergency, Wild Place project reserves the right to close all or parts of the park as necessary. Where this significantly impacts on a stay, we will offer an alternative date. Bristol Clifton & West of England Zoological Society Ltd, Bristol Zoo, Clifton, Bristol, BS8 3HA. Registered in England & Wales. Registered Charity Number: 1104986. Full payment, including VAT, will be taken at the time of booking via our partner website or via telephone. Should you wish to change the date of your booking you may do this once up to 8 weeks prior to your original booking without incurring any charge. You can cancel your booking within 14 days of the booking being made and receive a full refund, beyond this time only a date change can be offered (up to 8 weeks prior to your original booking date). We will not give a refund on a saver, advance booking rate or sale room rate booking and/or third party booking. We will only make refunds to the payment card that you used to make the booking. We will normally credit refunds to your card within 30 days.